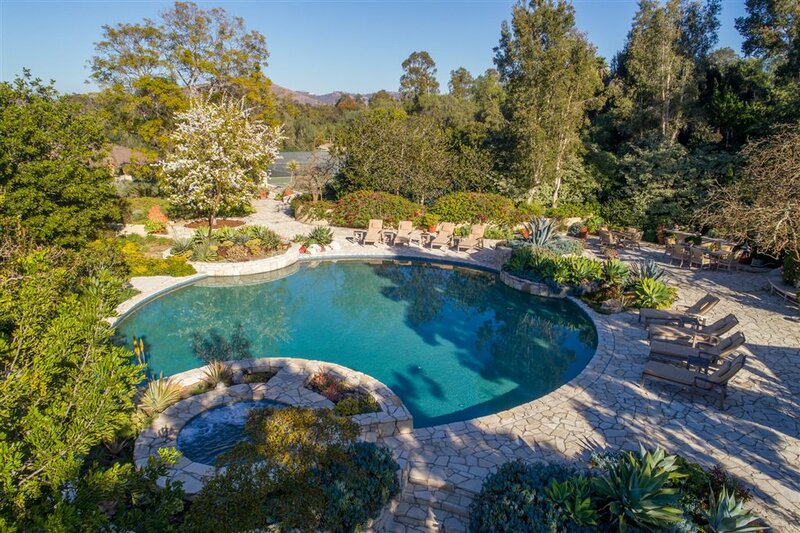 “Buena Vista Farms”, a tranquil, gracious and private oasis with a sense of life and nature. 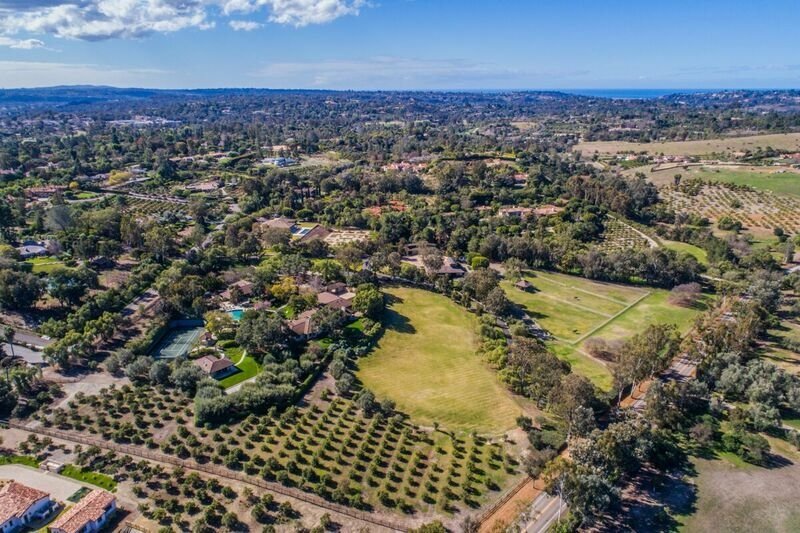 Designed and built on a raised plot of land on 15.65 Covenant acres with commanding views and overlooking the largest estates of Rancho Santa Fe. 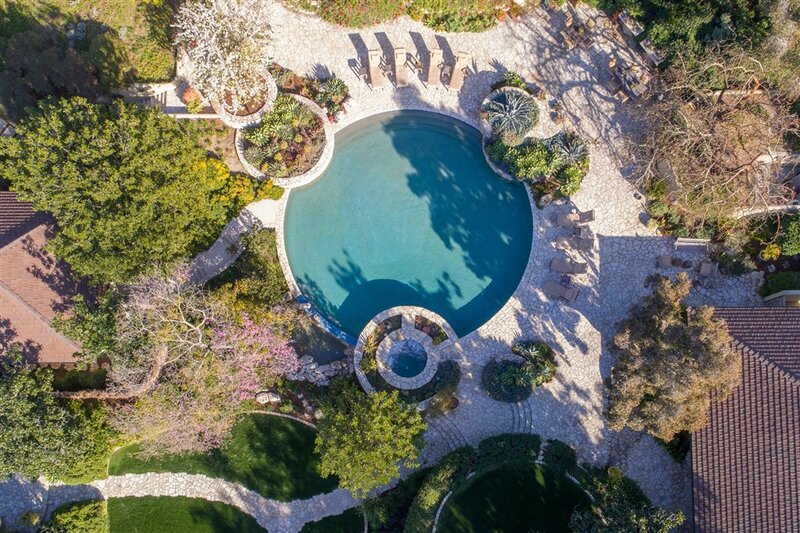 The gated entry, and private meandering driveway is flanked with native California pepper trees leading to an architectural gem with exquisite gardens, lemon and olive groves and state of the art horse facilities. The circular motor court showcases a beautiful single story residence created by the renowned designer Ken Ronchetti and constructed by custom home builder Weir Bros.. A recent renovation by San Francisco based designer Paul Wiseman, present an impeccable sophisticated yet casual ambiance, a perfect blend to accommodate the owners indoor outdoor entertaining needs. Custom entry bronze encased glass doors lead to the main residence foyer featuring large wall space for showcasing art and two long gallerias leading to separated wings of the house. 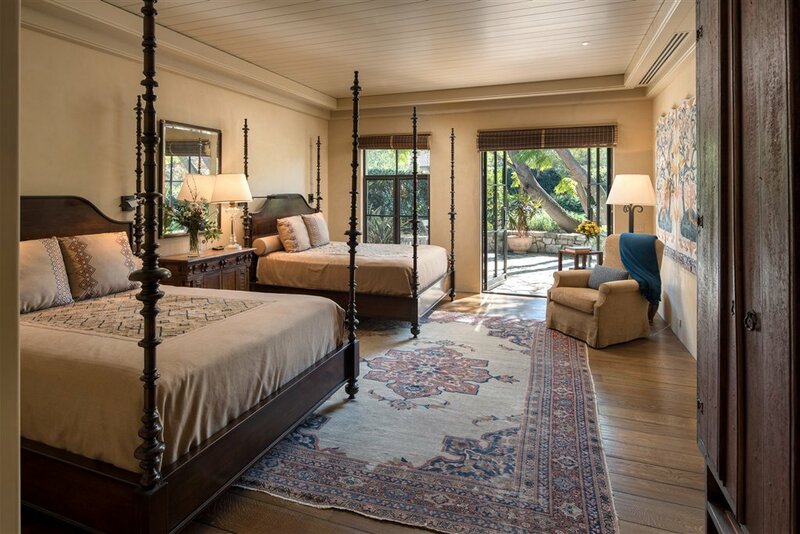 Interior walls are venetian plaster, the flooring is wide plank and distressed antique white oak and custom bronze windows and doors are featured as well as custom designed bronze interior and exterior sconces. 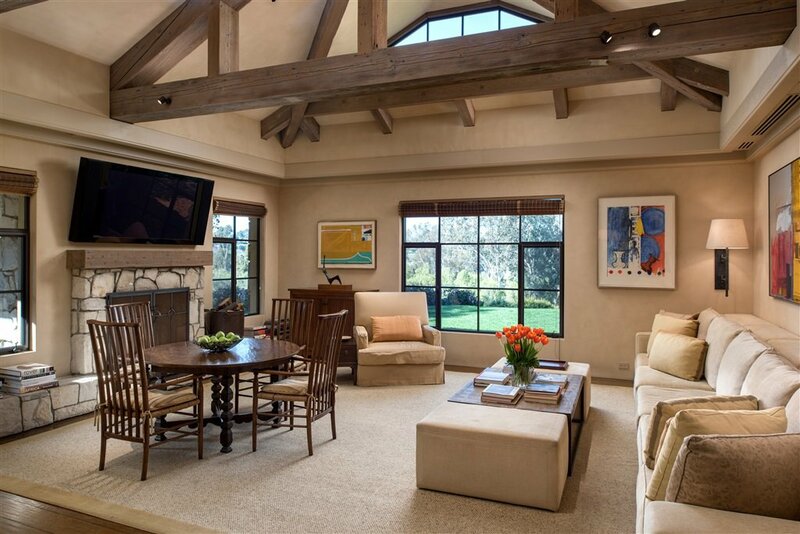 The living room is spacious with 16.8 foot high ceiling showcasing antique oak beams, floor to ceiling Palos Verdes stone fireplace with custom designed iron and bronze screen. 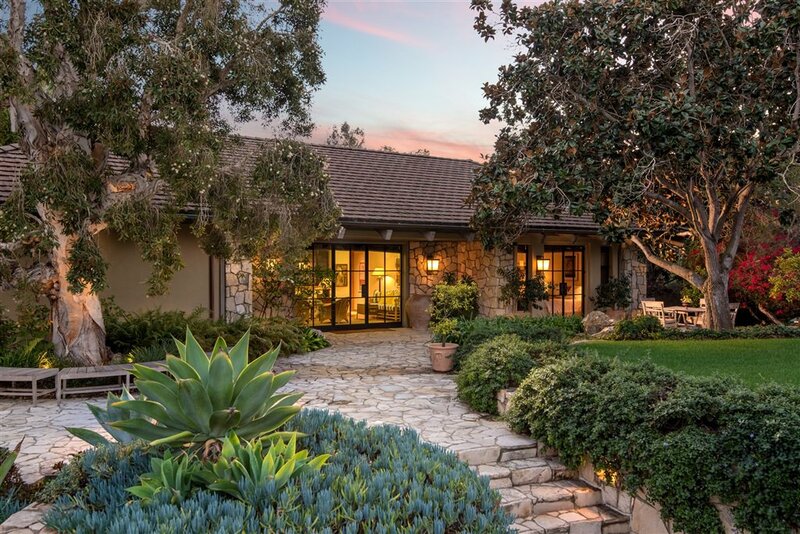 Beautiful views—“Buena Vistas”--are prominent throughout the living room, European country-style dining room and the handsome library of ultra-suede walls, with extensive bookcases. The state of the art kitchen has two islands and generous flamed Absolute Black granite counter space. 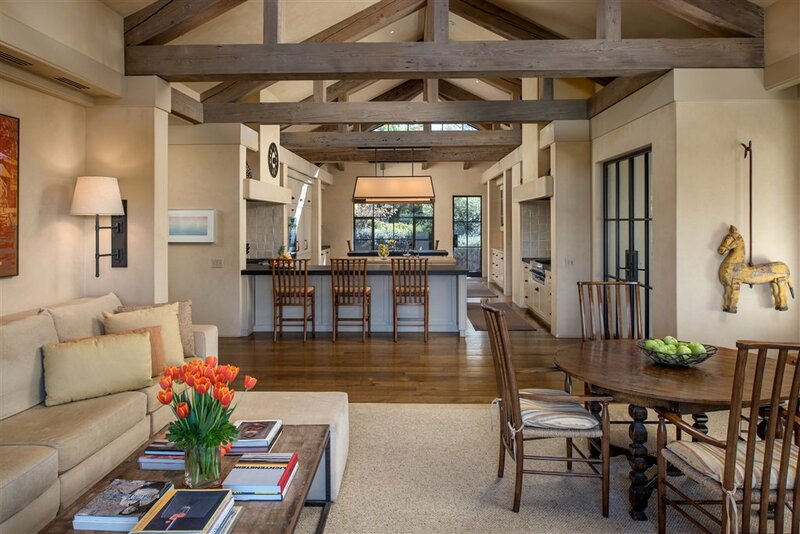 All top of the line professional appliances enhance the functionality of this chef’s delight. 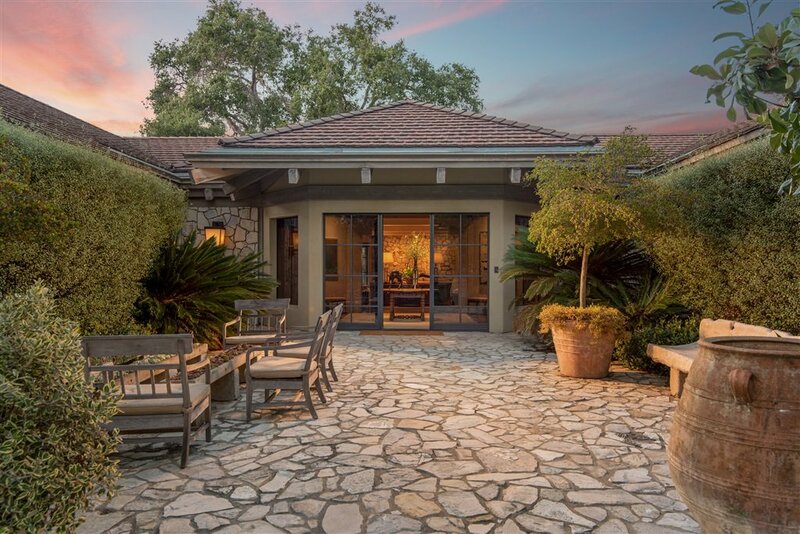 Adjacent to the kitchen, the family room has a large stone fireplace with TV viewing area and glass doors leading to an outdoor dining patio with fire pit and lush gardens. 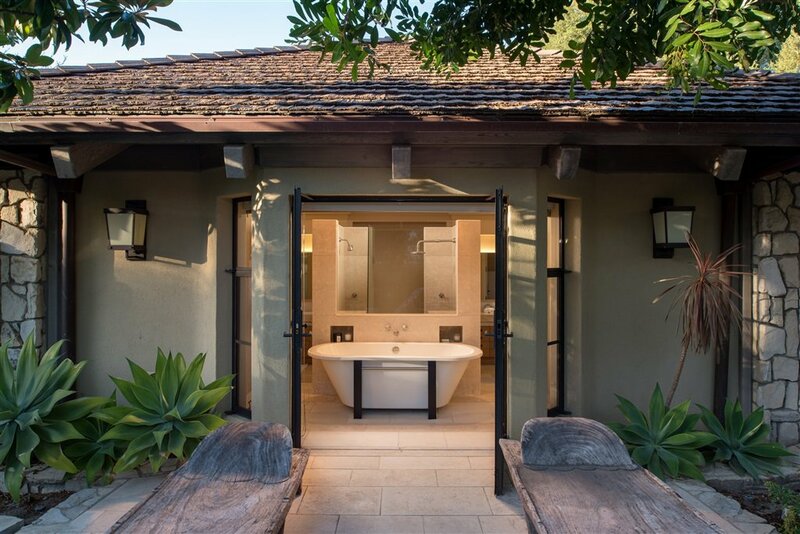 The master retreat features a high wood beamed ceiling, a limestone fireplace and windows overlooking tranquil gardens plus a luxurious bathroom with Massangis French limestone flooring, marble shower, vanities flanked in marble, and a raised tub. 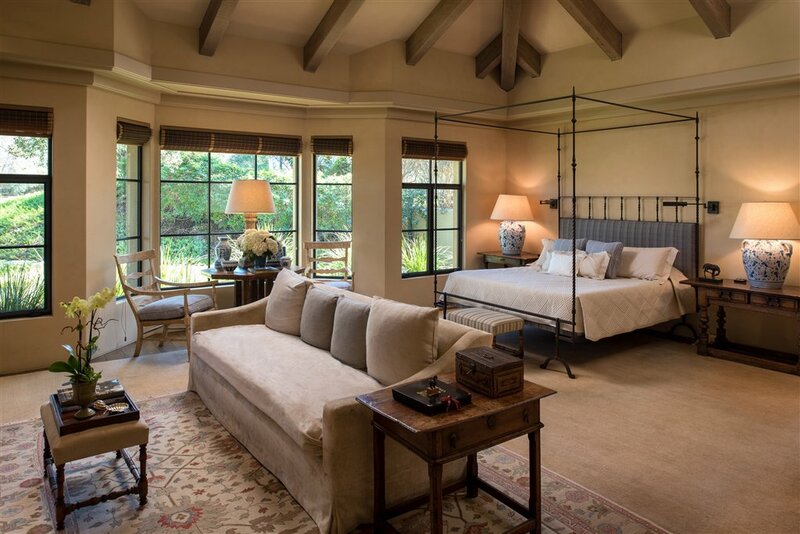 His and her closets are oversized and meticulously designed with dressing and seating areas and a separate closet for luggage storage. 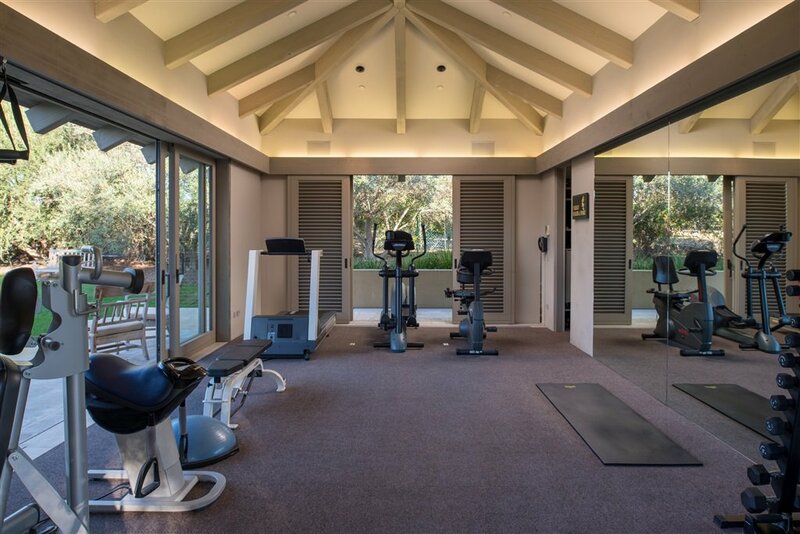 Located off the master wing, surrounded by olive trees and fronted by a bocce ball court is the separate luxurious spa and exercise pavilion, creating a haven for relaxation. 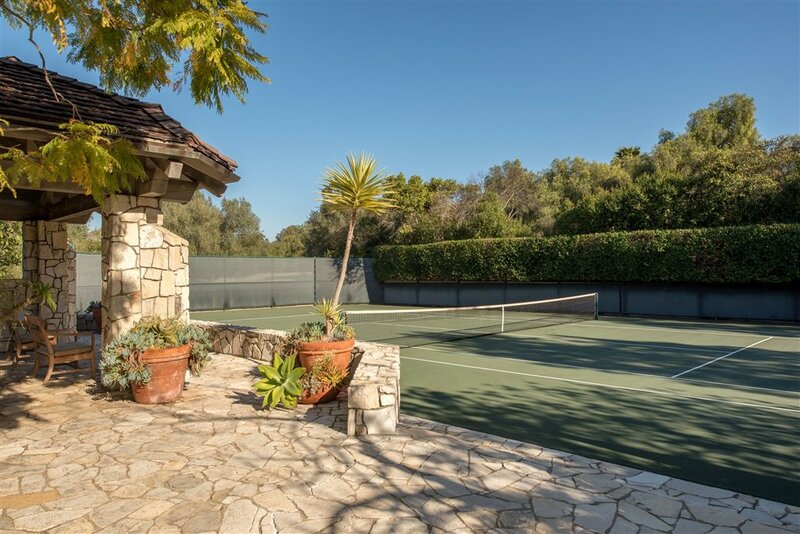 A gated pathway leads to the regulation tennis court with covered viewing pavilion and the resort-style pool creating a quiet haven for peaceful enjoyment or elegant parties. 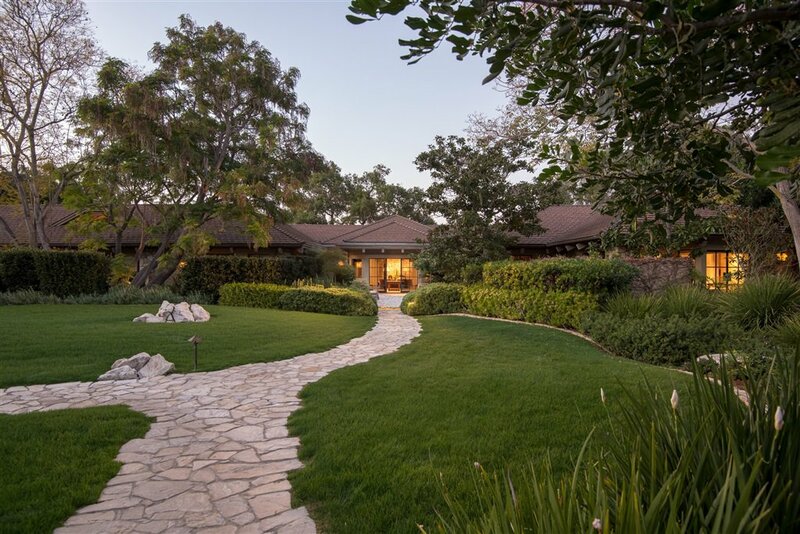 Private with its own driveway, the separate guest house offers two bedroom suites, a full kitchen and sun-filled living room. Two additional bathrooms have exterior access for entertainment purposes. 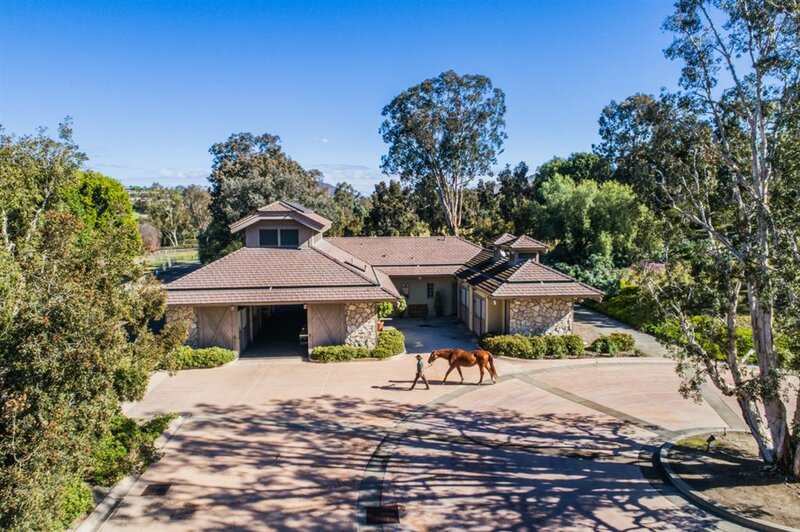 The pristine horse facilities include the stable, designed with the same architectural material, Palos Verdes stone facade, as the main residence. 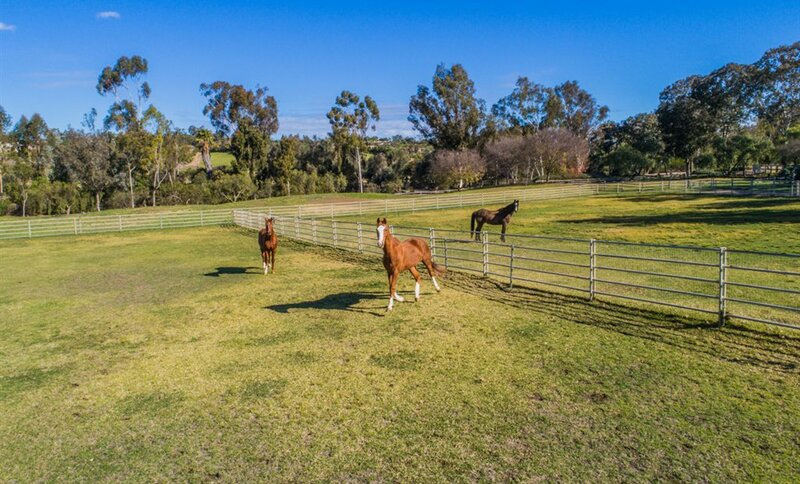 Situated with excellent ventilation in mind, it is as comfortable as it is functional and includes six stalls, tack room, and 10 feet high sliding oak doors. In addition, there is an office and an apartment. 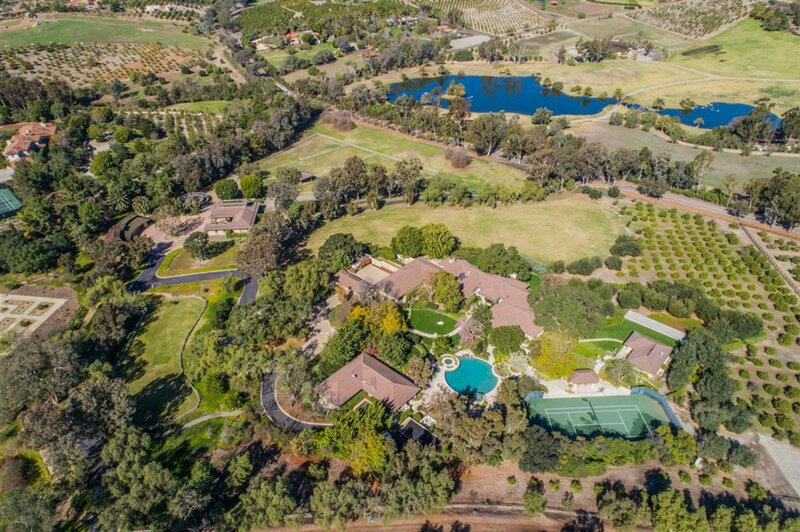 There are five irrigated, half-acre grass pastures and a European style walker. 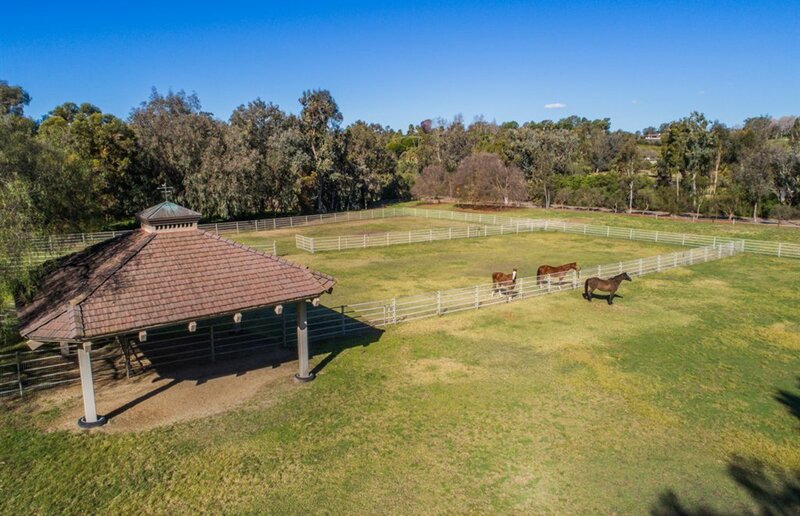 A separate driveway entrance leads to the circular turnaround in front of the stable and the award winning agricultural equipment building which can accommodate a truck and horse trailer. 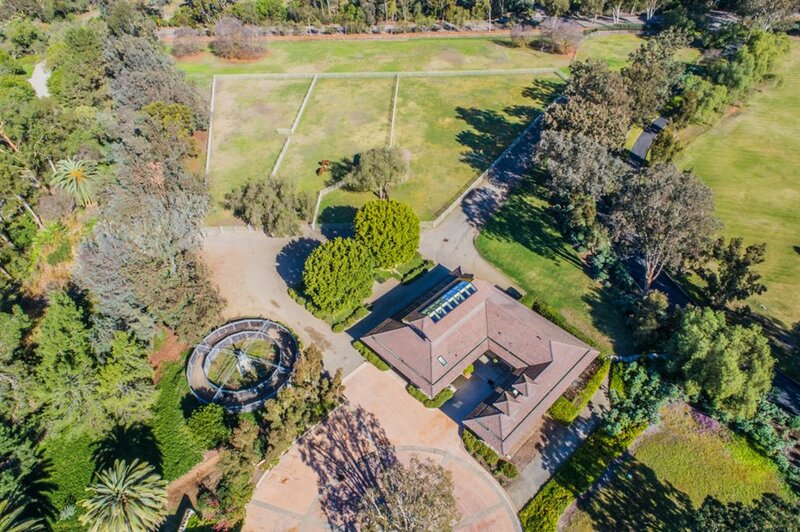 This is a rare offering and in the exclusive Covenant in Rancho Santa Fe, close to Palomar airport, all major highways, the renowned RSF Golf and Tennis clubs and the village. 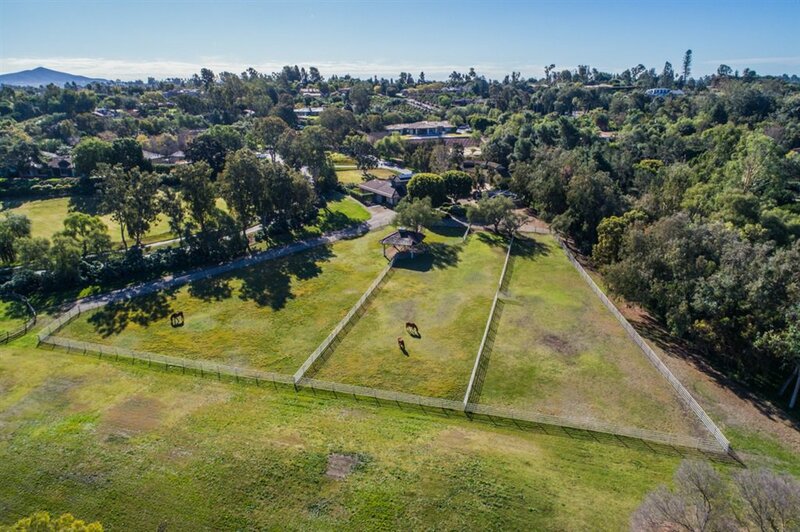 Adjacent to the Equestrian trails. 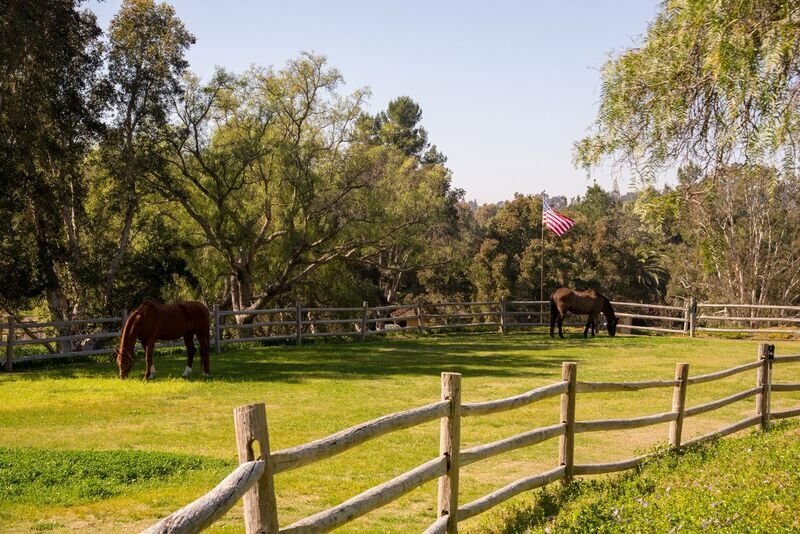 “Buena Vista Farms”—a sense of life and nature through landscape and animals.